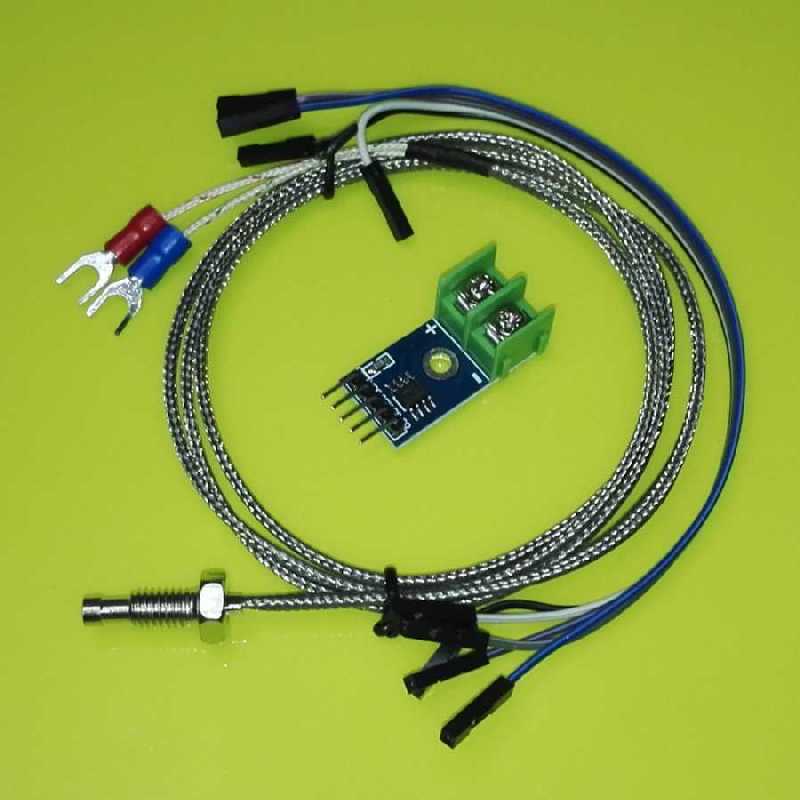 This set consists of a K-type thermocouple sensor and a MAX6675 thermocouple amplifier IC board. It supports cold junction compensation (-20 ~ +80 °C). You can easily measure temperatures using your microcontroller board with 0.25 °C resolution.